An F1 hybrid at an economical price! Perfect for baskets, tubs and pots. 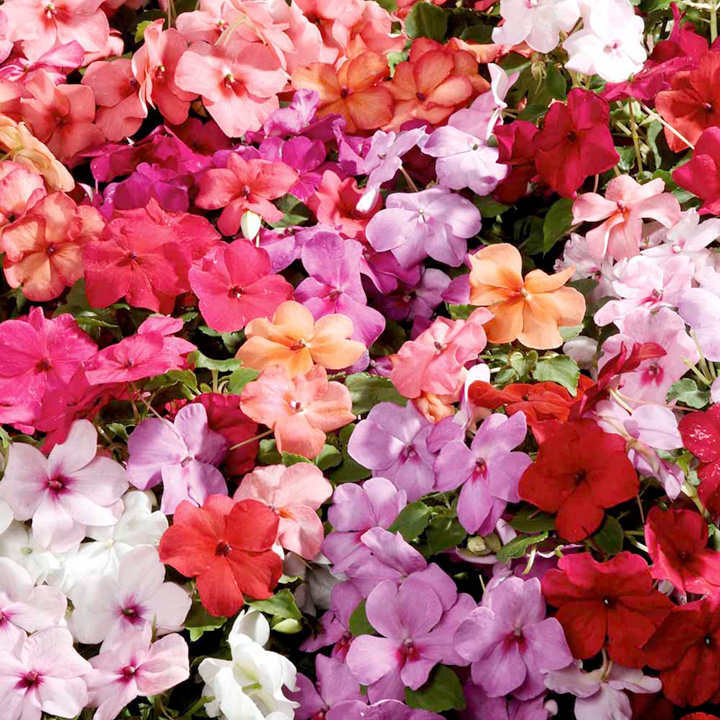 Plants perform brilliantly in shade or sun, producing large colourful blooms consistently through the summer. Height 25-36cm (10-14"). HHA - Half hardy annual. A much favoured bedding/container plant which has been troubled by Downy Mildew disease in the last few years. If you have not experienced this problem (causing the plants to rot and die) we suggest you continue to grow but ensure maximum hygiene and perhaps confine their use to pots and baskets to minimise risk of the disease. Previously affected? Why not try New Guinea Impatiens Florific. Sow February-May to flower July-September. Suggested plant spacing 18-23cm (7-9").